Meet Rococo! Serving Italian food that’s made to be shared, since 2005. You’ll find them in both St Kilda and Hawthorn. 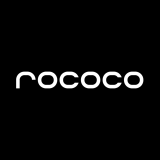 The team at Rococo is all about food that is simple and honest - while ensuring the classic taste you love, sociable dining and only the freshest produce and ingredients. It’s a classic, yet contemporary menu. You’ll experience only the best… Indulge in hand selected ingredients from the Italian countryside, fresh pasta, customer favourite gnocchi, six week aged steak and four month aged prosciutto. If you’re in need of a drink, you’re in luck! There’s cocktails, mocktails, beer, wine and sangria - or if it’s a little early, how about a coffee? Rococo’s interior is warm, modern, and inviting. An intimate setting perfect for dates, yet also a great spot for family dining. Make a trip for breakfast, lunch, dinner, dessert OR drinks! They do it all - every day of the week.